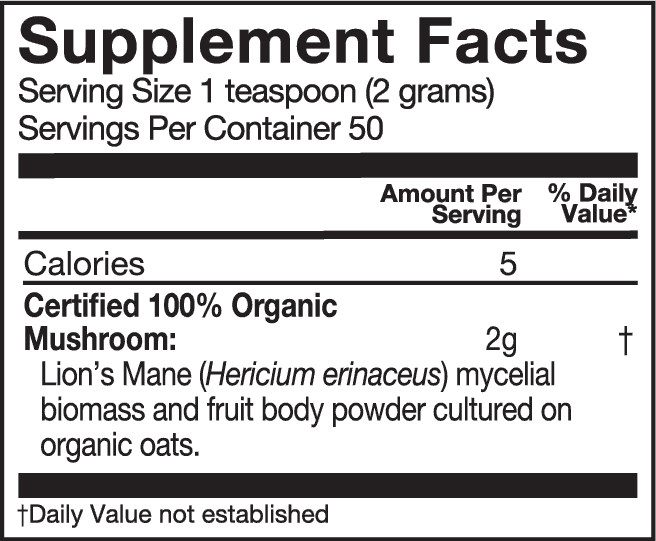 Certified 100% Organic Mushroom: Lion’s Mane (Hericium erinaceus) mycelial biomass and fruit body powder cultured on organic oats. Lion’s Mane can help spark cognition, focus and clarity*. 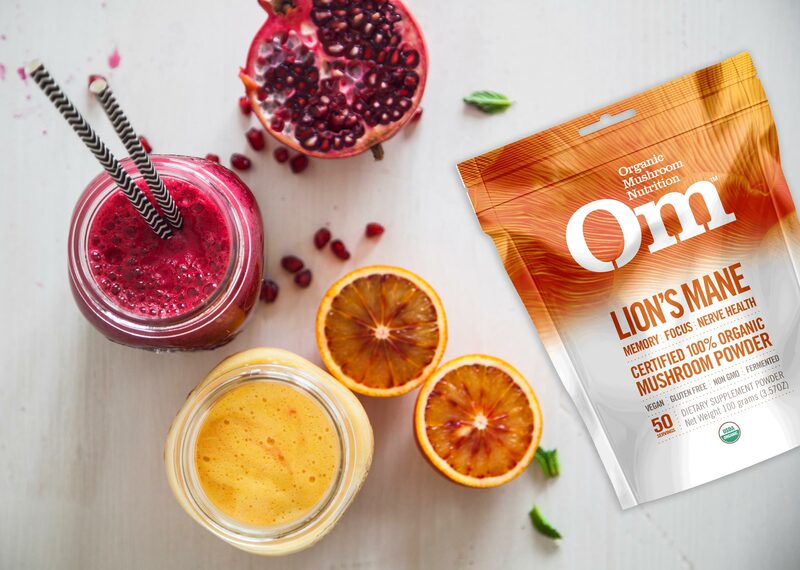 Om Lion’s Mane capsules are a smart way to help fuel your brain. Take as directed. If you have a medical condition, are on medication or are pregnant or nursing, please seek the direction of a qualified health care professional before using. KEEP OUT OF THE REACH OF CHILDREN. Store in a cool, dry place.